As you have seen from earlier today, Rockstar has revealed a little of Grand Theft Online. It will support up to 16 players and will be available October 1st, 2013. If any of you have played Grand Theft Auto IV multiplayer, there are many people that will constantly destroy cars, attempt to kill another, and many of the other players do not appreciate that. They can shout hurtful words, and destroy the online experience for other players. According to Rockstar North boss, Leslie Benzies, Rockstar has implemented a program which will be able to track players that do that kind of destruction. 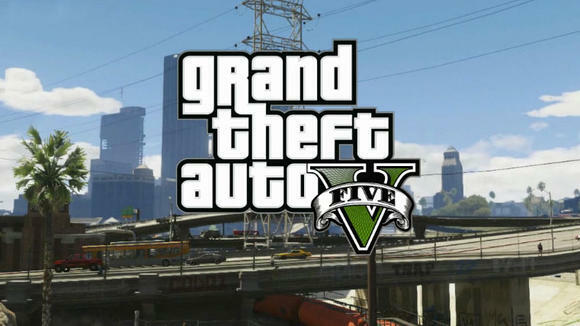 He also says that GTA V community will the the biggest yet, and it will be a challenge to keep it under control. "This kind of goes down two paths. One is the fun battling between players, and the other is, 'This guy's just a pain in the ***.' We've spent a lot of time on what we call "bad sports." Anyone that's misbehaving, whether it is blowing up someone's car or shouting abuse, anything that pisses people off, we can track that. The game can track that, and you can report them. If anybody's a bad sport, then we deal with them," he said in an interview with Gamespot. "The other side of it, where it's just the fun gameplay, we want that to happen. We want you to run off with the cash and me to come and chase you. Or you run off with the cash and I'll phone up one of my contacts and set a bounty on you. Then somebody will kill you, you'll drop the cash, and I'll get it all. We'll track that as well. So if we battle each other, the game will remind us, "Oh, it's that guy. He pissed you off a couple weeks ago. maybe you should deal with him." It reminds you of your enemies are and you to pay them special attention," he added. What do you think about this? This system seems like it could be easily abused, but sounds like it will keep the bad players in one game, and the good players in another, or possibly a ban from online play?